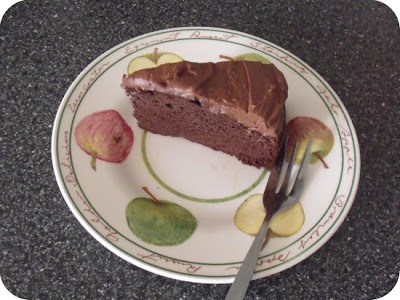 when i wrote about healthy indulgences yesterday, i included a picture of their black bean chocolate cake, and it immediately went on my healthy recipes for 2010 list. it's grain free and sugar free, woohoo! 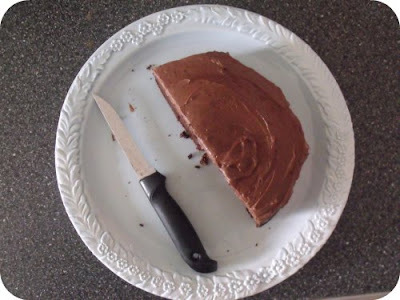 you can find the delicious recipe here, and i did follow it pretty straight for once. almost. except instead of xylitol or erythritol or stevia or splenda, i used agave because that's what i had in my cupboard. i found a tin of organic black eyed beans in the international/health foods aisle of my local supermarket, so i was pretty set to go. and i bought some organic butter...though next time i'll probably try using coconut oil (but it's so expensive, i'm very hesitant to buy it). i could happily make and eat this every week, and it'll certainly be made at all special occasions. i tastes so chocolate-y, and NOT AT ALL like beans (for those of you who are wondering about that!). i love love love it!